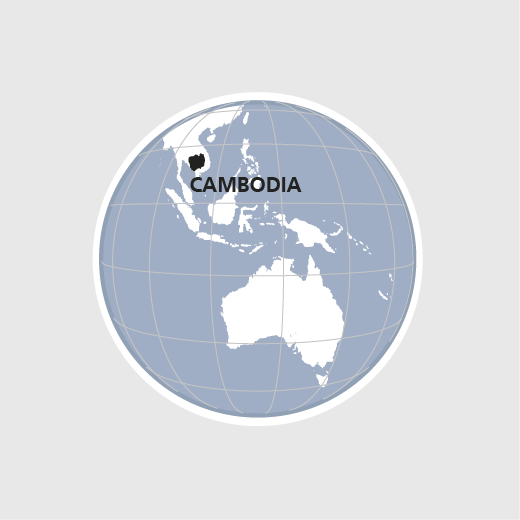 Cambodia is one of the poorest countries in Southeast Asia. It is still marked by the negative consequences of the "Khmer Rouge" regime. Authoritarian rule and a weak democracy are hampering economic development. Agriculture provides a livelihood for some 80 per cent of the population and still has enormous potential for development. Through a broad-based country aid strategy, HEKS/EPER and its partner organizations are working to secure the livelihoods of Cambodian smallholder families and boost their autonomy. This involves several complementary projects to improve agricultural output and foster peaceful coexistence in society. In 2017 HEKS/EPER supplied some 42000 people in Cambodia with emergency aid. Some 4500 people boosted their crop yields and of them, 2000 increased their income.